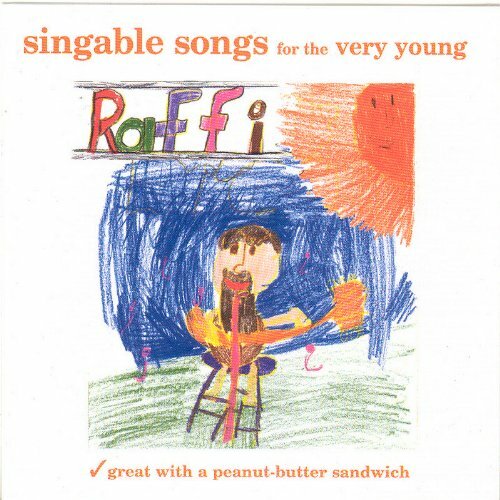 Raffi's very first and best selling album - a Children's classic! Singable Songs For The Very Young features 19 short, catchy tunes sung by one of world's best-known singers of children's songs. This recording, first released in the 1970's, has a timeless quality. It features some familiar tunes, "Baa Baa Black Sheep" and "My Dreydel," as well as some familiar melodies that have been given a new twist, such as the swinging "Old MacDonald Had a Band." Singable Songs For The Very Young includes instructive songs such as "Brush Your Teeth" and "Going to the Zoo," as well as a number of pop compositions, like "Down By the Bay" and "Aikendrum," that parents can enjoy too. However, what sets SINGABLE SONGS FOR THE VERY YOUNG apart from many children's recordings is Raffi's voice. He possesses a laid-back, mellow croon, one with roots in the Canadian folk tradition of singers such as Gordon Lightfoot. Parents raised on Paul Simon, James Taylor, and other lighter fare will find themselves entertained right along with their children.